Third Annual Ham Radio Tailgate and Trunkfest. The N8IG Marysville Repeater is now fully operational. Joe, K8JWL has been working on the repeater. He was able to get both the water tower receive site and the local repeater receiver going through the controller and voter. The N8IG Repeater was replaced with a new Kenwood NXR-710K repeater setup in analog mode. The repeater was purchased by the Union County EMA and put into service on March 10, 2019. The old repeater, a GE MASTR II Repeater was donated by Honda Americas to the Union County EMA has served the amateur radio operators of Union County well over the years. It was taken out of service when the new Kenwood repeater was put online. Our oldie-but-goodie Controller, receive link radios, and voter have been setup on the new Repeater. These will also be put up on the new EMA Tower when it goes up. 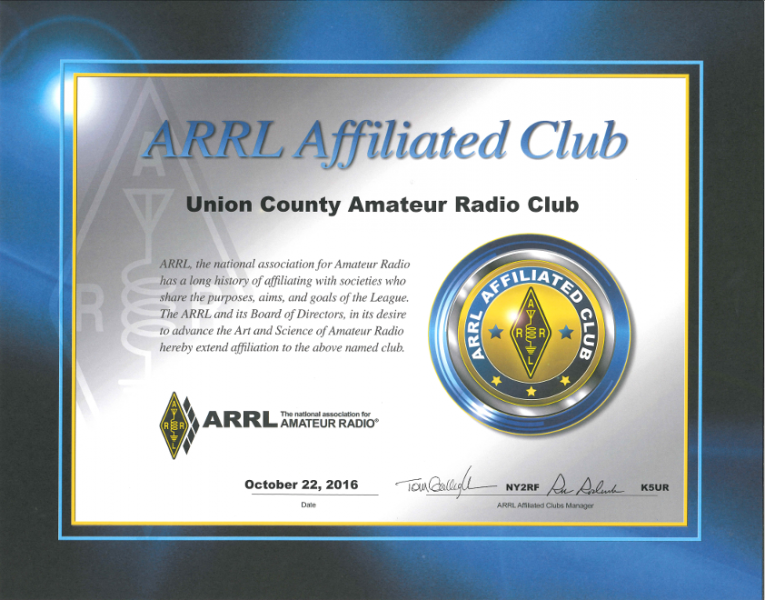 Welcome to the Union County Amateur Radio Club website. 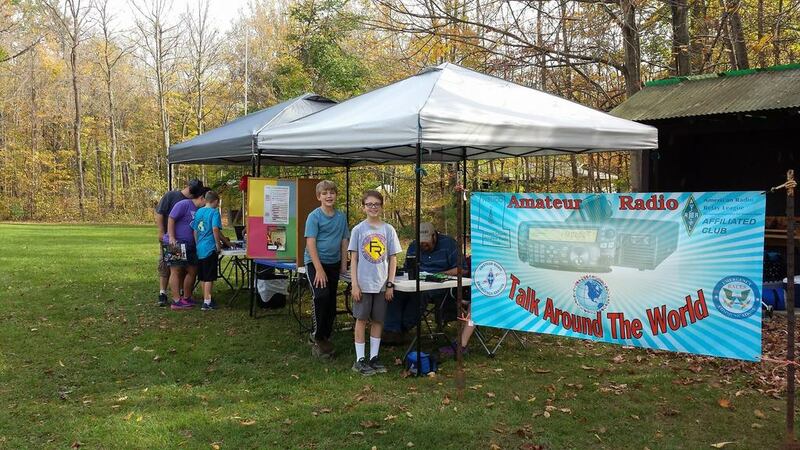 This site was created for other Union County/neighbouring county hams or people who are interested in Amateur Radio. 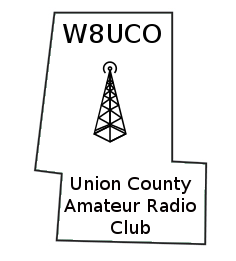 The Union County Amateur Radio Club meets the first Tuesday of each month at the Union County Services Building located at 940 London Ave. Marysville, Ohio 43040 unless other wise noted. Check into the N8IG repeater in the morning between 8:00 and 8:30 to be added to the head count for seating! The breakfast is open to anyone with an interest in amateur radio, you do not have to be a club member to attend. Some people in this club also help maintain the repeater in Marysville that is sponsored by the Union County EMA. The N8IG repeater frequency is 145.350 (-) MHz with a Tone of 127.3 Hz It is open for use with a Technician Class or higher Amateur Radio License, you do not have to be a member of the Union County EMA to use it. There is also a weekly net that starts at 8pm on Thursdays on the repeater. Anyone is welcome to check in and take part in the net. Steam Threshers Special Event Station Help needed !! The special event station is located at the old gas station at the park. There is power available there and we are allowed to store some of the equipment in a building there. In the past it has been the club banner and a small folding table. Will has used his personal radio for the event. We should be able to use one of the club radios for it. Below is a photo of were the station is set up to give everyone an idea of what is needed. It is a fun event to work. You end up talking to other hams on the radio that are also involved with old farming equipment and tractors. Often visitors will walk up and ask questions about the radio setup and that usually is a good opportunity to promote the hobby. 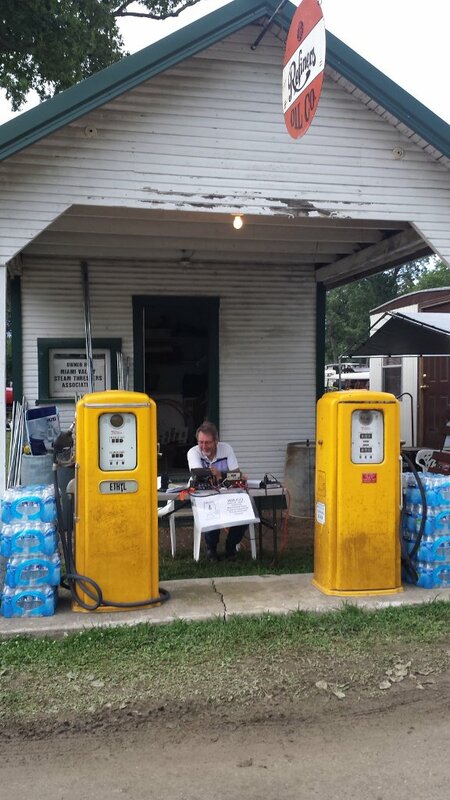 Read more about Steam Threshers Special Event Station Help needed !! take the traffic. After the traffic is passed or if no station is available to take the traffic, resume the net.